Here are my notes on the Ep 132 first draft. "FOLLOW CLOSER ON DON, taking in fear as he falls (SLO-MO). He twists his head around and opens his mouth wide. The water from the glass flows into his mouth. ON THE FLOOR - as Don lands on his back with a THUD. BACK UNDER THE BOULDER - grimacing Leo and Raph use all their might to heave the boulder off of their shellbacks. It CRASHES to the floor. The guys collapse from the effort. DON hops up and steps up to Splinter. Don still holds the now empty glass. I bring you your water, Master -- <BELCH> -- unspilled. Well done, Donatello. But what "insight" have you displayed? Truth is in the details. You said bring you the water, not what to carry it in." While this is certainly a clever take on the challenge, it plays a little fast and loose with what "unspilled" means. You could argue that the water certainly DID spill, out of the glass and into Don's mouth. Here's another option to consider, one which to me is more Don-like. What if Don figures out that the only way to bring the water to Splinter unspilled is to use the property of centrifugal force and SPIN the glass so that centrifugal force keeps the water in the glass no matter what gyrations Don is going through? I separated them into THREE PIECES: two sticks and the chain." Technical point: While Mike's old "classic" nunchuks had a chain joining the two sticks, his "future" nunchuks have a CABLE. "ON LEO - Looking up, he's hit by the intensified reflection of the light beams. Leo grabs his eyes and flails, blinded. Hey! Who turned out the lights?!" Given the context, Leo's line seems kind of inappropriate. "ANGLE ON LEO - he frowns and looks around as he hears what sounds like metal rubbed by a polishing stone <GRINDING>." Technical point -- I doubt you could get any kind of highly reflective surface by "grinding" metal with a stone. Mikey should probably use something else -- maybe buffing the hubcap with his bandana or leather wristband or elbow pad. "ON THE RINK - The building SHAKES (SFX) as a NASTY-LOOKING 30-FOOT-TALL ROBOT, holding a massive hockey stick, STOMPS down the aisle (crushing seats), making his way to the ice. " Why does the robot crush seats? Seems over the top... and irresponsible for Cody to allow his robots to damage the facility. Also, it's a little much that the whole building should shake when the robot walks. On a technical design note -- it would seem that a thirty-foot-tall robot would need a correspondingly bigger ice rink to skate and play hockey on. ISsthat the plan for this scene, and if so, how much bigger? I wonder if it might make sense to scale these robots down to fifteen or twenty feet high -- they would still be plenty intimidating to Mikey. "A SECOND NASTIER ROBOT then rises up from behind the penalty box and CRASHES through it. " As with the chair crushing bit earlier -- WHY? O’Neil Tech’s private robo-hockey team has off this week. I called for a practice session." I think it would be better grammar to say "O’Neil Tech’s private robo-hockey team has this week off." And why does Cody say "I called for a practice session"? The robots aren't "practicing" -- they're being used to try to stop Mikey from reaching his goal (no pun intended). Another technical detail point -- will these robots have skates (or skate blades) on their feet? And will Mike also have some kind of skates so that he can credibly move around on the ice as needed? "Just then a console beside Mikey get sucked OS by the affect of one of the Helix Creatures (SFX). " That should be "effect", not "affect". Also, given the way that the smashed machines release what appear to be physical manifestations of creatures from the games themselves, I wonder if this test might be better situated in Cody's "holodeck" training dojo instead of just some warehouse, so that these game creatures could be realized as holographic projections. Otherwise, their appearance from the smashed game cabinets seems a little too magical. Here are my notes on the micro-springboards. 1.) MONSTER ON THE MOON: Is there just one alien race living on the moon? I thought there were many. And why the moon, necessarily? There are other planets in our solar system which might by this time have people/aliens living on them, i.e. Mars. 2.) TIMING IS EVERYTHING: Could be fun. 3.) THE FALL OF DARIUS DUN: Could work. A key issue would be how to make Cody's battle armor able to hold its own against Darius' battle armor (assuming Darius is going to have something as formidable as the first battlesuit we saw him in (even though Jammerhead was using Dun's body at the time). And as that suit was destroyed in that episode, are we going to have a NEW battlesuit for Darius or a duplicate of that first one? Also, we have to come up with a rationale for WHY whatever Darius is doing is so illegal that he will be forced to abandon his post at O'Neil Tech. Is ANY kind of weapons dealing illegal, or is it CERTAIN types of weapons? 4.) DNA IS THICKER THAN WATER: Could work, though I'm not sure if I buy the whole "I'm going to pretend to be good so I can get close to the Turtles, gain their confidence, and then when they're not on their guard I'll let my evil brothers in so we can sneak attack them" bit that Dark Leo indulges in. I mean, are the Dark Turtles SO unsure of their ability to defeat the Turtles that they have to go to these lengths? 5.) RACE FOR GLORY! : Interesting attempt to tie current Turtle continuity into the PLANET RACERS continuity, but I'm not sure if it works. It might... it might not. The obvious question is -- if Raph was such a huge influence and inspiration on young Godman (not GOODman) Falcon, why didn't Falcon recognize Raph when they met in "Across the Universe" in Season three? 6.) THUS SPAKE METHUSELAH: I'm not too sure about this one. 7.) THE MILK RUN: Some interesting elements, but it would need to be run through the "Logic Filter" for it to make more sense. 8.) THE MOUSER THAT ROARED: Again, some interesting ideas, but I'd have to see more of how Stockman survived all this time and why he's living underground and why he doesn't know what's going on on the surface. And why is he a "gigantic pulsating brain mass"? And I think it's the GALACTIC Alliance, not INTERGALACTIC. 9.) THE TROUBLE WITH TURTLES: This one is not terribly appealing. Maybe it could be made so, but I don't know. The most interesting bit of this is the mention of Starlee's family (heretofore unseen) -- might be some intriguing possibilities there. There could be a touching coda to this story where -- although he is victorious over Turtle X -- Serling is almost completely trashed. Cody tearfully pleads with Serling to not "die", and he tells Serling that he will fix him back up... and Serling asks him to do so in a way which will allow him to protect young Master Cody in a more effective way (and that way is the "Serling as robotic transforming exo-suit for Cody" which you wanted to do earlier). 12.) THE COSMIC COMPLETIST: An interesting idea, though the idea that this Completist would actually destroy a whole planet after taking a few samples for it is pretty horrifying -- and if we didn't KILL this fucker at the end of the story, we would not be doing our duty. On the other hand, maybe we could have this Completist not destroy those planets but do something else -- CLOAK them, push them into other dimensions, etc. -- to accomplish the same goal of "not letting anyone else have one". 13.) CODY'S DAY OUT: The idea that Splinter would send Cody out after Darius Dun in this manner just makes no sense to me. 14.) ALL FOR ONE: I really hate the bit where the Turtles are all instantaneously melded together into one being due to being hit with a "gene bomb", but some of the other elements of this story might be worth pursuing. "In the final moments of the first episode, it looks as if the guys are stranded in space as the Earth is slowly pulled into Sh’Okanabo’s galaxy…until help comes in the form of TORBIN ZIIXX! He yanks the guys through the time/space window… "
What the -- ??!! I have NO idea of what is supposed to be happening here. a.) Is the portal moving OVER and AROUND the Earth or is the EARTH moving THROUGH the portal/time window? I think the former would make more sense. b.) Why can't Bishop and all of the other aliens on Earth and their various forces destroy the time window? c.) The "dead planet" seems totally extraneous. d.) Pitting the Turtles against vast numbers of "Kanobo drones" seems a waste and very unrealistic. It makes more sense if they have a small but KEY part to play in this huge battle -- not sure what it is off the top of my head, but something more suited to their ninja nature than trying to fight their way through legions of drones. e.) Sending the Turtles back in time to defeat Sh'Okanabo BEFORE he even made it to Earth seems weird to me, especially as it does create a pretty significant time paradox. However, I do think that some clever use of the time window might be the way to have the Turtles defeat a foe which they have previously shown no capacity to defeat... maybe with Cody's help, they alter the nature of the time window and trap Sh'Okanabo into being trapped in it... but instead of being sent into the past, Sh'Okanabo is hurled into the vastly distant future, seconds before the heat death of the universe -- when every bit of mass in the universe is being compressed down into the infinitesimal speck from whence originally sprang the Big Bang (the creation of our Universe). The last we see of Sh'Okanabo is as he is being crushed down into this tiny speck -- never to be heard of again! Blast from the Past #507: October 19, 2005: Re: Show 130 ("The Journal") Outline Notes and October 21, 2005: Re: New Premise flying in! Here are my notes on the Ep130 outline. "Donatello: “It’s a journal. There’s a name scribbled on it… it says Casey!”"
As a nod to continuity -- and because I don't think even Casey would inscribe his journal with just his first name -- why don't we have it read his full name -- "Arnold Casey Jones"? "Don looks the first few pages of the journal over more carefully and sees that it includes entries about their adventures in the 21st Century. Upon continuous inspection Don realizes that it continues to chronicle their lives AFTER they went through time. He quickly shuts the book! Donatello: “Guys – this book contains our entire future history, even after we return home!” "
Just to clarify -- what this journal can possibly contain (if we assume that Casey is the only one who wrote in it) is tales of the Turtles' lives AFTER they returned from their trip to the future but ONLY for as long as Casey was alive thereafter. Also, I still think it would be best -- for this first glimpse into the REAL journal -- to only IMPLY that the journal might contain information about how and when the Turtles came back to their original timeline. (It's simple to do -- if Don sees that there are entries dated AFTER they vanished and went to the future, then whatever comes AFTER that must -- or would very likely -- contain information about their future after they came back to their original time. After all, given the existence of Donatellium (the metal that Don created SOMETIME after they went into the future but at some time in the past), we already KNOW that at least Don made it back to the past.) Then, in the FAKE duplicate journal that Splinter and Cody create, the explicit stuff about how and when the Turtles return could be laid out... but as we find out in the end of this episode that all that stuff is phony, we would still keep unrevealed the TRUE story of how the Turtles returned from the future... which I think would be a good idea. "One night, Don has trouble sleeping. He decides that he can’t take it any more. He slips out of bed and sneaks into the Trophy Room. In the dark, he opens the footlocker. Just as he reaches for the journal Leo turns on the light – revealing Raph on the ceiling and Mikey coming in the window, both caught in the act of stealing the book for themselves." What WINDOWS are there in the trophy room that Mikey could enter through? Maybe something a little more sensible (and funnier) would be to have him sneaking in disguised as a box of comics or a footstool or something. "And they DO have the coolest, craziest, wildest time ever, defeating the BOOMTOWN RATS and dismantling their RODENT PLAGUE BOMB and saving New York from a vermin disease-infested future! " Is "BOOMTOWN RATS" the name of an actual musical group -- and if so, should we use it? Maybe "DOOMtown Rats" might be better. Subj: Re: New Premise flying in! field and give the Turtles a fighting chance. Lemme know thumbs up or thumbs down! 1.) If Viral's machine can "digitize" the Turtles (i.e. break them into nanoscale components or information a la STAR TREK's transporter), that's all she needs to do to destroy them. Therefore, I think the fact that she and her avatars battle with the Turtles inside this game is due to the fact that Viral doesn't just want to eliiminate the Turtles as a threat to Sh'Okonabo, but that she wants REVENGE on them... and this "fun" that she indulges in will turn out to be her "Achilles Heel" (it's what gives the Turtles a fighting chance) -- she should have just "deleted their file" when she had the opportunity! 2.) It might be fun if, when Cody and Starlee try to hack in and help the Turtles, they digitize SERLING and send him in to be their ally (and of course, hijinks ensue!). 3.) 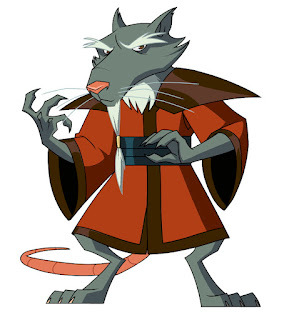 Where is Splinter in all this? 4.) Another fun thing to do if Cody and Starlee digitize themselves to help the Turtles, they might show up inside the game as avatars which look like Casey Jones and April O'Neil! Here are my notes on the Ep128 first draft. I'm really trying to like this one, but it's difficult... I find it mostly a dismal collection of horror/sci-fi movie cliches. "SERLING - looks down with envy at the meditating Splinter. Someday you must show me how you manage to tune them out. Why is Splinter belching? Not clever OR funny. Just the Turtle with the flair for flatulence, the gift of gas, the belvedere of belches... Michelangelo!" "Flatulence" refers to farting -- they're burping here. And "belvedere"...? Webster's defines it as "a structure (as a cupola or a summerhouse) designed to command a view". I don't get it. Maybe "baron of belches" would make more sense. "ON SERLING - protecting the vase from being shattered as Leo, then Raph, then Splinter fly past him, <THUDDING> into walls and furniture. Finally, Mikey lumbers into scene and shoves Serling aside. Mikey picks up the vase and takes a <CHOMP> out of it." Sigh... Please -- no eating of ceramic artifacts. We got rid of it in the kitchen scene only to find it in this bit... and it's just as dopey here. "Leo, Don, Raph, Splinter and Cody grab Mikey and drag him to the lab, leaving Serling to survey the damage. I suppose you want ME to clean this." I think it sounds better if instead of "clean this", Serling's line ends with "clean this UP". I'm fine. But if his head starts spinning around, I am so out of here!" "I am so out of here" doesn't sound like Leo. It does sound like Raph, though. "ON MICHELANGELO - His black cocoon suddenly <BURSTS> open, revealing Mikey now fully transformed into a full fledged alien of Sh'Okanabo's species: a KANABO DRONE!" I can't recall seeing any art for what this "Kanobo drone" is supposed to look like, unless it's supposed to look EXACTLY like Sh'Okanobo... which I think is pretty boring. 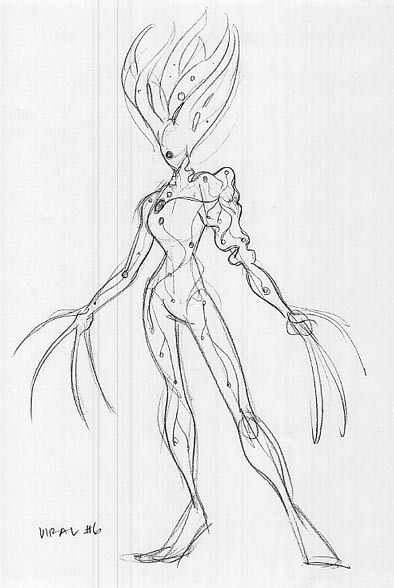 I think it would be more interesting if the creatures affected by the gene seeds were PARTIALLY transformed with some kind of Kanobo-esque elements. And here's a head-scratcher -- why does the transformed pigeon that we see in the opening look exactly like a pigeon? I have to take this opportunity to say once again that I'm not really loving this whole "transform into an alien species and back into your unaltered, unaffected original state again in the space of a few hours" thing. "MIKEY KANABO DRONE <BURSTS> free from his restraints. The others react in shock. Don steps up to him cautiously. Mikey? Is that you in there, bro?" This action and this line is idiotic, especially coming from Don. I mean, Mikey's transformed into a monster -- and "Don steps up to him cautiously"? What's happening to you, Mikey? You looks like that Sh'Okanabo guy!" And Leo -- you sound like that Raphael guy! Kanabo Mikey bounds in and leaps up to one of the huge windows, <SMASHING> his way through. The remaining Turtles, Splinter and Armor Cody charge out after him. We'll have to track him with the Hovershell! C'mon! The guys all rush out." Unless I'm mistaken, Cody's penthouse is on a high upper floor (as are most penthouses). WHERE is everybody leaping/charging/rushing to? You guys take Leo. Me 'n Cody'll jet after Mikey! ARMOR CODY - grabs Raph and <BLASTS> off with his armor's jets after Mikey. Raph's last line here is dopey. "CODY - swoops down to the roof, helping Raph to his feet. Face it, Raph. You're no Mikey. Yeah, well Mikey's no Mikey right now either!" "You're no Mikey"...? Lame. I really don't like weak lines used to set up weak gags/repartee (a la this one and the "jet" bit in comment 11). "WIDEN TO REVEAL - a "nest" of KANABO DRONES perched in the rafters above them. Mikey Kanabo is among them, as is an Original Ray Kanabo (among several Kanabos wearing "Famous Original Ray's" aprons), along with other Kanabos whom we might recognize as former hot dog stand Patrons from the Teaser and Act One. Raph and Cody are surrounded!" As I pointed out in my previous notes, I don't see WHY all of these Kanobo drones are clustered in the basement of "Famous Ray's" diner. What's the rationale? Why there? Why aren't they spreading out all over the city? And this may be the first basement I've ever heard of with "rafters"! Don' worry, kid. I'll protect ya! Raph hurls his sais, which <THUNK> into the top a huge shelf. He leaps/flips over/past the attacking Kanabo and grabs onto the sais, using his weight to tip the shelf over, bringing it and its contents down on the Kanabos. Careful avoid any spilling slime in the process, Raph <YANKS> his sais free. He and Cody charge up the wooden stairs/ladder." This kind of banter/action is pointless. And remember -- Cody's in a freakin' armored suit! What's he so nervous about? HE should be protecting Raph. "Raph and Cody brace themselves for the worst... when suddenly the Kanabo Drones stop what they're doing, then all turn and bow down in one direction, facing away from Raph. Aw, come on! My jokes aren't THAT bad!" Yes, they are... especially that one. "PAN ALONG AN ALIEN CITY – as we see HUMANOID ALIENS in various stages of “Kanabo infection”, consuming mass quantities of food, spewing green slime, engulfed in “black stain cocoons”, etc. Taking them over… until all they become Kanabo themselves in a massive global “Day of Awakening”!" But haven't we seen from this script so far that the "awakening" part of it takes place very quickly, and there is no waiting for a so-called "Day of Awakening"? And so the infestation spreads until the planet’s resources are sucked dry. Sh’okanabo’s Ship now <BLASTS> off from the now devastated “husk” of a dead world, heading off into space. Then the Sh’Okanabo, the prime specimen whom all others serve, moves on to the next world and begins the process anew." Again I have to ask the question I posed in my last set of comments -- what's the point of all of this if the end result is that when the planet's resources are all "sucked dry", the only Kanobo who survives is Sh'Okanobo? I mean, if all of the resources of a planet are GONE, how can any of these Kanobos continue to live? And if they DON'T live, what, exactly, has Sh'Okanobo accomplished, other than killing one more planet? He certainly hasn't perpetuated his species, if HE'S the only one left. "Cody remains still non-responsive. Raph hits a control on Cody’s armor <FIRING> its jets and <ROCKETING> the two of them up and away from Sh’Okanabo and his Drones. THE KANABO DRONES (now including Don Kanabo and Splinter Kanabo) – leap up and climb the walls and ceiling after Raph and Cody. FOLLOW RAPH AND CODY – flying around shakily as Raph tries to steer the still non-responsive Cody’s armor. " I realize that the writer has kind of painted himself in a corner, but really -- a set of armor with CONTROLS ON THE OUTSIDE??!! Just wait 'til one of their enemies figures that out. 'Bye-bye Cody! "Raph “steers” Cody into an open RAY’S FAMOUS HOVER TRUCK, locking the doors. Kanabo Drones swarm all over the truck <POUNDING> on it, trying to force their way in." Totally ridiculous. Now Raph has fine control over Cody's suit -- enough to not only aim it so it goes into a truck, but also doesn't CRASH into the truck -- while he's "flying" it from the outside. 21.) It's curious how all of the OTHER characters who have turned into Kanobo drones were violently active and really noisy -- yet when Cody gets infected, he doesn't make a sound or any kind of weird motion. Guess following the "logic" established earlier for the transformation would blow the whole "Oooh..., scary!" reveal as transformed Cody pops out of his leaky suit. With Raph pinned to the windshield, Cody Kanabo raises his free hand, preparing to bring it down on Raph for the coup de grace. But as a RAY OF SUNLIGHT hits him, Kanabo Cody hesitates. What’re ya waitin’ for, kid? Just do it an’ get it over with awready!" Given the circumstances, this is a REALLY stupid line from Raph... not to mention totally unnecessary. "ON KANABO CODY – as the STREAKS OF SUNLIGHT hit him, his Kanabo Drone “outer shell” begins to SHRIVEL and <CRACK> open, and then finally TURN TO DUST, revealing Cody inside, unharmed and dazed." Oh. My. God. So... all along, these characters weren't actually turning into Kanobos -- they just had an outer shell which LOOKED like Kanobos??!! WHAT is the $*##&^@@ point of the GENE SEEDS then? "He reacts in horror to the Kanabo Drones around him. He turns and runs into a pile of slime-dripping gene seeds. Mikey reacts in horror to the trashed hot dog stand. <girly scream!> Half eaten raw wieners! " "He “decloaks” and <SLASHES> open a GAS MAIN with a claw arm. " "Hmm... a being who destroys worlds -- and his BEST way of eliminating the evidence is to slash open a gas main... and then (apparently) HOPE it causes a fire? EXTREMELY lame." "MIKEY - looks back tearfully at his beloved hot dog stand. <girly scream!> This is NOT my idea of a wienie roast!" Lame line, not funny. And really, let's not overuse the "girly scream" bit. 27.) All in all, in my opinion a disappointing episode. And if you think about it, there's NO REASON -- other than a cheap shock thrill -- for the Turtles, Splinter or Cody to be turned into Kanobo drones. Doing so is repetitive and boring, and turns every action scene into a weak copy of the one that came before it. Actually, I take part of that back -- it MIGHT be interesting if CODY was the only one so affected (maybe it's not so easy, i.e. mere "sliming", to become infected... or maybe the Turtles and Splinter, given their unique biochemistry, have some immunity to it), as that would give the Turtles great motivation -- they would have to protect Cody, while simultaneously protecting themselves and the public from him. I also have to reiterate that I think a big opportunity for chills is completely lost here with the simplistic treatment of the infectious goop which is spewed on victims. The idea of a "gene seed" held out much more interesting options, in my opinion, for a nasty kind of creepy way of people getting infected -- for example, the "gene seeds" being actual seed-like things which could be partially active, sprouting hooked cilia with which to grab onto and burrow into peoples bodies. Lastly, the threat posed by the gene seeds/goop is pretty much completely made nil by the instantaneous and complete "cure" by the sunlight. 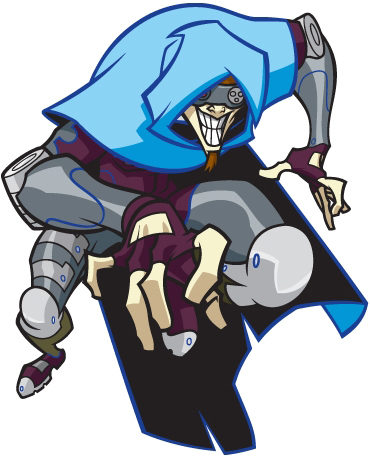 I think it would make a lot more sense if -- while MOST of the transformation is reversed -- SOME of it lingers, and if we only transformed Cody instead of three Turtles and Splinter too, we could show in the next episode Cody recovering from it completely, so the infection has more of the feel of a real threat. Umm... so, I thought that per our previous conversation (and the one before that too! ), we had agreed that we were in fact going to go with a slightly altered variation of the sunlight thing. We discussed that it's not necessarily the light that adversely affects his Kanabo-people, but perhaps something in our yellow sun's radiation that Sh'okanabo didn't account for. We also discussed that the fact that he didn't account for our sun's unique properties didn't make him an idiot because this is all just another stage in his on going experimentation to see how best to ressurect his race. And we discussed that the long-range plan for Sh'okanabo(seeded across the season so that nobody actually realized we've snuck an arc into the series!) is that he is going to attempt to move our entire planet to a sun that is more conducive to his (and his brood's) needs. This Sh'okanabo arc was also previously Laird-approved. Hot sauce really won't help push Sh'okanabo to decide he needs to move the planet... at least I don't think it does? We're pretty far along down this path, and you know how totally @#$%^& crazy this season has been. trying to create an entire new series without ANY development time. That being said, I don't want you throwing up, so please let me know if the plan as stated above is no longer what we should be doing. Thanks for reminding me of stuff I must have forgotten. This is why I prefer email to phone calls. However, I don't recall seeing anything in the outline about "something in our yellow sun's radiation that Sh'okanabo didn't account for" -- as far as I could tell, it's just the sunlight. I hope we can come up with a good reason why he just doesn't find another solar system with an appropriate planet and sun instead of going to the garguantuan task of moving Earth to another star (!!!). Considering that the nearest star to Earth is (I think) 3 or 4 lightyears away, that's not going to be easy. Sorry you didn't like the hot sauce thing... I thought it was kind of funny. Here are my notes on the Ep131 beat sheet. There is probably a fun way to rip off or "homage" the movie "Fantastic Voyage", but for my money, this is not it. Even for peusdoscientific technobabble, the stuff in this "beat sheet" is over-the-top silly, much as it was in the original premise. Not only that, but it's basically just a lot of action for no good reason, and as such, boring. If we go forward with a story like this involving nanobots inside one of the Turtles' bodies, I would like to see something move imaginative and with a lot less goofy non-science. I just had an idea which might work or maybe inspire a different direction -- the "Quantum Nanobot" (or "Pan-Dimensional Nanobot"). This relates to a thing called a tesseract, which Webster's defines as "the four-dimensional analogue of a cube". It was featured in the story "And He Built A Crooked House" by Robert Heinlein, and is sort of the basis for the idea of both Doctor Who's "TARDIS" and Felix the Cat's "bag of tricks" -- both structures that are MUCH bigger on the inside than they are on the outside. One way of looking at them is that -- for example, with Doctor Who's "TARDIS" -- the external part (in the "TARDIS"'s case, the phone booth or call box) is just the part of the whole structure which protrudes into our universe... the rest of it resides in another dimension. So... imagine nanobots, tiny little microscopic robots... but THESE nanobots are only a very small part of much LARGER robots which reside in another dimension -- these nanobots are the part of the larger whole which protrudes into our world. Not sure how this would work in a story, but it might be interesting to play with it. Here is my one note on the Ep130 revised story beats. Otherwise, this is going to be a fun episode, I think. "The guys are insanely curious to find out about their futures. But before they can dive in, CODY and SPLINTER find them. They convince the Turtles that knowledge of the future is dangerous, and the guys reluctantly agree and hand over the book for safe-keeping. As they continue their daily routines, it’s clear that the guys are still obsessing. Raph is distracted during training. Mikey can’t eat. Leo fidgets during meditation. Don has trouble sleeping. One night, Don can’t take it any more. He slips out of bed and sneaks into the Trophy Room. Just as he reaches for the journal Leo turns on the light – revealing Raph on the ceiling and Mikey coming in the window, both caught in the act of stealing the book for themselves. Leo is forced to admit that’s why he’s there too. Now partners-in-crime, the guys decide to go up to the rooftop garden to read the book together." If the boys hand the journal over to Splinter for "safekeeping", why is it back in the trophy room when the boys go look for it again? That doesn't seem like "safekeeping" to me. Even though it turns out that this is a phony journal made up by Spinter and Cody to teach the boys a lesson, I think that it should be kept in some other more secure location so that it helps to fool the boys into thinking it's the real thing. Given how many thick-headed "journalists" read (and maybe "read" is too generous a word) my recent post about Michael Bay possibly turning the Turtles into aliens in the upcoming live-action movie and somehow got out of it that I supported this idea, clearly not perceiving the sarcasm in my words, I've been pondering the potential benefits of creating a "sarcasm symbol" -- a graphic icon which could be appended to a piece of writing or artwork to help the "perception-challenged" among us in apprehending the real meaning of said writing or artwork. 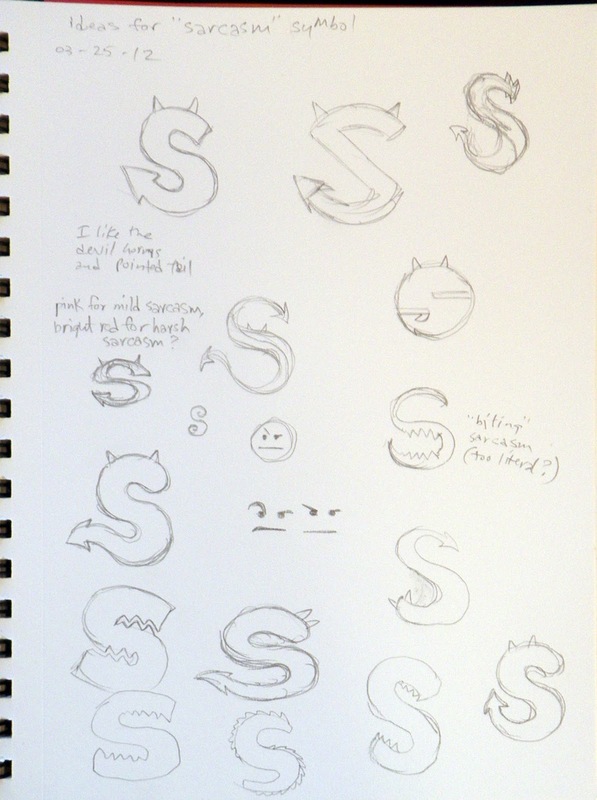 As noted, I like the "S" form with the devil horns and forked tail. I think I will keep working on this and try to get it into a nice, clean, black and white design. Peter, I'm so glad you commented on this. Could you go into detail specifically what it is about making them aliens instead of mutants that matters?" Can you express in words what many of us are having trouble doing, why it's more than just a meaningless backstory that's almost never brought up in the series?" That's a tall order, but I'll see what I can do. I predict, though, that my answer won't be satisfactory, as this whole issue is extremely subjective. Before I get into it, I have to say that in my opinion, the bit in your question re: the X-Men betrays some fairly specious reasoning. 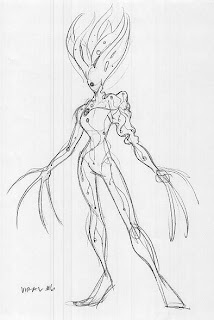 You could make all of the X-Men aliens and you'd have essentially the same set of conflicts, only instead of people hating and fearing them because they're mutants, people would hate and fear them because they're aliens. Bigotry of that nature is very adaptable. And I have to say that -- at least as I see it -- the Turtles being mutants, and ninjas, and turtles is inextricably woven into the nature of who they are and what their lives are like. (Truth be told, I never really thought the "teenage" part was all that important... thought it helped to make a cool name for the property.) And to claim that the Turtles' backstory is "meaningless" and has been "almost never brought up in the series" is really pretty preposterous. There is the fact that the origin of the Turtles as set forth in the first issue of the TMNT comic book is the same basic origin story (with a few details changed) which has been used in the comics, both animated series, as the basis of all four movies, and all the toys and merchandising, for close to twenty-eight years. Obviously, this origin story has worked pretty well… so why change it? To use the old saying, "Why fix what ain't broke?" When Kevin Eastman and I decided to do that first TMNT comic book back in 1983, we knew we had to figure out a way to explain why the characters were teenagers, mutants, ninjas, and turtles. It seemed like a preposterous combination of elements, but we bent our minds to the task and quickly came up with what was, to us, a satisfactory solution. It was quirky and weird and required a healthy measure of suspension of disbelief… but it WORKED. And it worked WELL. And there was something about it which is not easy to define, something nutty and joyful and funny and possessed of a strange but compelling creative energy. That energy has sustained the idea through its much-longer-than-expected life. It may be that changing the origin story -- however that is done, and IF it is done -- might be a good thing for the future of the property. I assume the new owners want to keep and use the name "Teenage Mutant Ninja Turtles" -- it only seems logical -- so if they can come up with a new story which doesn't hew to the way WE did it way back in 1983, but still retains enough of those key elements (ninja, teenage, mutant, etc.) to have the name of the property continue to make sense, and if that new origin story is something that the public responds to more positively that they did to the original, then more power to them. Much like the premise for this one, I don't have many problems with this outline. Here are my few notes on the Ep. 132 outline. "Raph cries out: "Elbows and knees!" Raph grabs Leo and dives into the light, toward Splinter. They both hit the floor and perch on their elbows and knees, a few feet apart. Leo: "I'm gonna understand this in a minute, right?" A boulder slams down, but the shells of the two turtles absorb the impact (indestructibility) and hold the boulder above the floor." I wish I understood it. Does it seem silly to anyone else that (a) Leo gets into this "elbows and knees" position without any pre-planning with Raph to do so, and (b) that probably the WORST position to be in to catch a falling boulder would be one in which two of the most vulnerable joints (knee and elbow) are positioned to take the HARDEST hit? I think this needs work. Perhaps a better, more shock-absorbing position would be Leo and Raph back-to-back, leaning forward with upper bodies almost parallel to the ground, knees bent arms stretched out and hands clasped (or grasping each other's forearms, if that works better), so that the boulder will hit both their shells at the same time and the strength of their arms and legs can soften and absorb the blow. And they could still leave room between their legs for Don to slide/dive through. "Raph (going Cosell-ish): "Maybe our amphibian warrior will uncover a stratagem than can maintain his distance from his cybernetic adversaries."" "Cody hits a button. Part of the warehouse floor opens, and a nasty-looking 30-foot-tall robot is lifted up, just to one side of the chuck piece. Then another opening brings up a nastier-looking partner, placed just to the other side. Uh-oh. Cody waves proudly: “O’Neil Tech’s private robo-ball team has off this week. I called for a practice session.”"
A couple of things here. I wonder if it might be cool if these were not "robo-ball" robots, but "robo-HOCKEY" robots... a fun nod to Cody's grandfather Casey Jones. Also, as the reaction of these robots to Mikey's insults seems very odd to me -- why would these sports playing robots care about insults like "You mama is so ugly..."? -- maybe a line of two could be thrown in here about how these robots have been programmed with simulated human emotions... the idea being that Mike thinks that makes these robots even MORE dangerous, as they can get MAD at him. But it also provides him the clue he needs to defeat them. 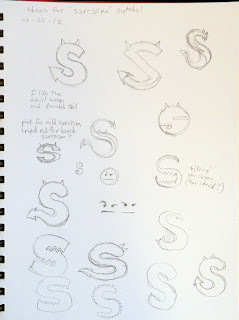 I was also thinking it might be fun and more varied to change the setting a little. Here's my idea: It's still set in a "futuristic warehouse", but the huge interior has a correspondingly huge POOL in the middle of it. In the center of the pool, on what seems to be a small pole surmounted by a thick disk, is the second chuck piece -- stuck to the disk. Mike smirks and says something like "What... I've just gotta SWIM out to get it?" Cody and Raph grin at each other. "Not exactly," says Cody, and he pushes a button on a handheld remote. Out of the water rise the two huge robots, each shouldering an equally huge hockey stick. Mike's eyes bulge, but he figures he'll have the advantage in the water, still. Raph chuckles. "Think again, bro!" Cody pushes another button on his controller, and ice starts to form on the surface of the water. In moments, the entire pool has FROZEN solid, and is now a gigantic ice rink. The robots are activated... and Mikey gulps as he sees that the disk on which his second chuck piece is stuck is actually an outsized HOCKEY PUCK! The robots start playing "keep away" with Mike, batting the puck around at insane velocities as well as trying to mash Mikey with their bulk and their hockey sticks. "Splinter: "I've been following Michelangelo's tests. His three tasks were important but not essential. Humility is the TRUE test required for graduation to Chunin. With it, Mikey has now proven himself WORTHY." Splinter wouldn't refer to Mike as "Mikey". He would say "Michelangelo". 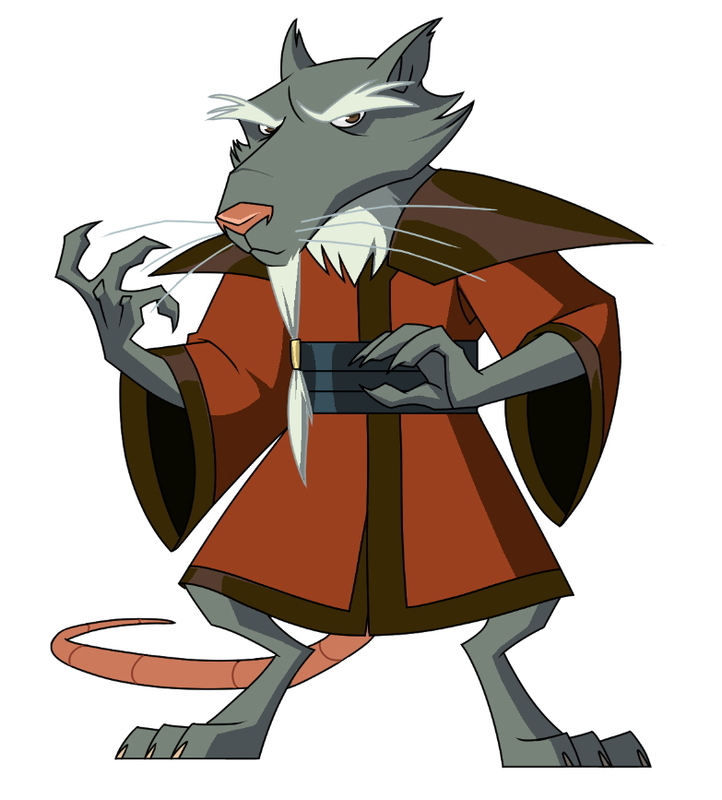 "I still don't see why if Splinter/Jammerhead got to where Jammerhead's body is FIRST -- i.e., before the Turtles get there -- Jammerhead doesn't immediately move his consciousness into his original body. And what's up with Don's "Don't let him reach his own body! He'll be able to phase and we'll never catch him!" Is he REALLY saying that he WANTS Jammerhead to be in control of their Sensei's body even one second longer? I think that makes ZERO sense. And the "pig pile on Splinter" is still INCREDIBLY dopey, given what the Turtles MUST have been able to figure out about how it is that Jammerhead moves from body to body, i.e. he can't do it from a distance, otherwise he would have been able to take any of THEM over and thus escape more easily. Grabbing on to Splinter in this way is a VERY poor tactic. If we DESPERATELY need to do our version of the "Who's the shape-shifting alien?" blood testing gag from John Carpenter's "The Thing" movie, it MIGHT work if Jammerhead/Splinter is BLOCKED (with WEAPONS, not body parts, remember!) from rejoining his (Jammerhead's) body, and uses some kind of feint (maybe he pretends to collapse or something) to draw all four Turtles in close so he can touch them all simultaneously. I know this means the end of the "Splinter throws all four Turtles off him and poses dramatically" bit, but I think we can afford that loss." P.S. I just thought of another way from Jammerhead to trick all of the Turtles into grabbing Splinter simultaneously: Jammerhead (while still in Splinter's body) could feint a move which LOOKS like he's going to KILL the body he's in so he can escape to his own body -- maybe he makes it look like he's going to shoot himself, or grab onto a live electrical wire, or dive out in front of a big truck speeding by... and THAT'S what gets all the Turtles to let their guard down for a few seconds, as they ALL instinctively leap to save their beloved Sensei. Actually, this could result in the much-favored (by the writer, anyway) "pig pile on Splinter" scene and what follows therefrom. Here is my one note on the second draft of Ep129. Much improved! I think you’ll find that armed with our weapons, my brothers and I are more than a match for you imposters." I think you’ll find that in a fair fight, my brothers and I are more than a match for you imposters." Hello. 128 will be going to first draft soon and I wanted to make sure that we receive any notes you have for 128 Outline. I had sent it last week along with 127 first draft. Just let me know if you need it resent. The file that I got along with the first draft script of Ep127 was "TMNT128Premise.doc" -- not an outline, at least by how it was labeled and described on its first page. I just finished making comments on it and was about to send them, but just realized (because the date on this document was September 16, 2005) that maybe this was the old premise that I had been sent before (which I didn't like at all). I'm going to go ahead and send these comments anyway, but in the event that there actually is a new OUTLINE for this episode which is significantly different from this premise, please send it ASAP. This premise has the same HUGE problem that the initial draft of it had, which is the whole "sunlight destroys the geneseeds and makes everything better" bit. It's a lazy, "magic" solution to the problem set up in the story... and it lessens the threat of Sh'Okanabo by making him seem STUPID, for overlooking such an OBVIOUS and easily tested weakness. But the "sunlight cure" has to go, I think. It's just TOO cheesy and dopey for me -- much like the "aliens that can travel through interstellar space but are vulnerable to tap water" (??!!) dumbassitude that was one of several dumbass things that ruined the movie SIGNS for me. So now I'm going to suggest something that is just slightly less cheesy and dopey -- but which does have the twin virtues of being (a) funnier (which we ARE going for this season, right?) and (b) connected to one of our main settings in this episode. Oh, and it's something Sh'Okanabo probably WOULDN'T have thought of. The solution? HOT SAUCE! Yes, it's the hundreds (thousands?) of gallons of Tabasco sauce in the storage room of the "Original Ray's" restaurant that Raph finds -- inadvertently, in the midst of fighting off the drones -- has the special properties which can cause the Drones to spontaneously revert. All sorts of goofy hijinks could ensue as the Drones comically react to the hot sauce which Raph sprays/dumps/paints on them. "The others head back home, but Mikey can't resist sticking around to order one last extra large empañada to go. Although there's something odd about Ray when he takes Mikey's order. Could it be the glowing red eyes and zombie-like demeanor?" Did no one else notice the "glowing red eyes and zombie-like demeanor" when they were all eating a few minutes ago, or has Ray JUST started acting like this? "Ray's is a lone oasis in an otherwise abandoned neighborhood of burned out, boarded up buildings that more resembles the South Bronx than the West Village." It seems very odd to me that in the New York City of 2015, there would be ANY "burned out, boarded up buildings". "Serling performs a full diagnostic on Mikey ("Too bad he's not awake. I was going to make this really uncomfortable. "), discovering that Mikey's DNA contains something... alien"
Why is Serling doing this, instead of Don? Is Serling now an expert in DNA analysis? "They shine flashlights down to reveal they're in the middle of a "nest" of sleeping dormant Kanabo Drones... and they're starting to stir!" Why are all these other Kanobo Drones "sleeping" and "dormant", when all of the Turtles who are thus infected so far are wildly active? "We learn that Sh'Okanabo is the "prime specimen" of his species, the Kanabo, the equivalent of a "Queen Bee" whom all else serve. The Kanabo subsist as intergalactic parasites, finding a planet and sucking it dry of its populace and resources by "infecting" host bodies with their DNA and slowly consuming them. Once the entire planet is consumed, Sh'Okanabo will move to another planet and begin the process anew. And nothing will stop him!" So what, exactly, is the point of all this infestation? What happens to all those transformed "Kanobo Drones" once all of the planet's resources are depleted and Sh'Okanabo moves on to another planet? If there are no more resources, do those Drones DIE? While I suppose one could postulate that a species could exist whose life cycle works to its own worst interest (i.e. destroying all of its hosts and thus exterminating itself in the long run), I think it might be a good idea if we could come up with a better rationale for the likes of Sh'Okanabo than this. This thought just occurred to me: What it the whole process of transforming all of the inhabitants of a planet into "Kanobo Drones" (and here's another question -- is it just intelligent species, or ALL species, which are targets of these "gene seeds"?) is only PART of the process, and its final purpose is to reduce the intelligent population of the planet into consumable "soul nuggets"... little blobs of energy/protoplasm that a being like Sh'Okanabo can eat, and in this way can absorb the collective intelligence, knowledge and creativity of an entire planet, adding hugely to its own power. And to add an extra "frisson" of horror to this, maybe part of the process is the consuming of Drones by OTHER Drones, in a horrific cycle of global cannibalistic reduction until only a limited number of "Uber Drones" are left... and THESE are the ones Sh'Okanabo himself consumes. And maybe he keeps a few of these "Uber Drones" for future use (as "muscle" to be used as a last resort? 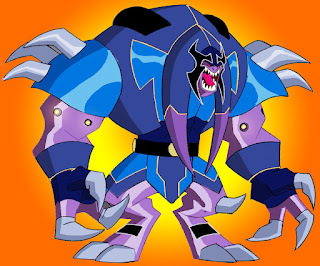 -- could be a cool extra villain character set for our heroes to battle). "Meanwhile, Sh'Okanabo can't risk having his plot exposed. He slashes open a gas main in the basement and disappears into the shadows." Hmm... a being who destroys worlds -- and his BEST way of eliminating the evidence is to slash open a gas main... and then (apparently) HOPE it causes a fire? EXTREMELY lame. Here are my notes on the problematic Ep128 outline. "Everyone is ready to head back home, but Mikey can't resist staying behind to order one more with everything to go. We (but not Mikey) catch a glimpse of the hot dog as Ray shoves it into the to-go bag. The mustard is green. And slimy. Just like the slime that came out of Sh'Okanabo's gene seeds earlier." Okay, I'm confused. Did the pigeon crap on Mike's hot dog? Are the "gene seeds" now irrelevant (i.e. if it's the "slime" inside them which carries the infestation)? "Mikey polishes off the food... and then starts chowing down on the dishes!" This takes a funny bit and makes it dumb. How about if -- instead of dishes -- he starts eating packaged food out of the cupboards without first taking the food out of the packages? "Later, in CODY'S LAB, an unconscious Mikey is strapped down to a lab table while Serling, Cody and Don perform a full diagnostic on him." I really don't think Serling should be involved in this procedure. He's not a scientist. "The guys all pore over the diagnostic readouts, unaware as Mikey's EYES GLOW RED HOT and his shadow suddenly comes to life (like Sh'Okanabo's), seeming to completely engulf him in shadow, twisting and writhing and pulsing until it finally dissipates... revealing Mikey now fully transformed into a full fledged alien of Sh'Okanabo's species: a KANABO DRONE!" See my previous emails where I comment about radical physical transformations within minutes. Are we really saying that Mikey has COMPLETELY changed into a Sh'Okanabo lookalike (boring AND preposterous!) or into a Turtle who has some of Sh'Okanabo's characteristics? "Leo begins to rampage inside the Hovershell with the same ravenous appetite Mikey did earlier, tearing apart the seats, even chomping down on Splinter's walking stick!" As dopey as Mike trying to eat plates. "Raph and Cody battle the Kanabo Drones, who attack with their vicious clawed hands and taloned feet. Raph shoves Cody to safety just as a huge shelf full of slime is about to smash down on him, narrowly avoiding the alien-DNA-infecting slime." "A huge shelf full of slime..."??!! What -- JARS full of it? 8.) There are several things in this outline which are kind of sloppily realized and confusing. One if them is the nature of Sh'Okanabo's "test" of his "gene seeds". It starts when we see him somewhere down in Chelsea Chasm releasing his infected pigeon, which flies up and out of the chasm to perch on the awning of Ray's Papaya Dog restaurant. Fine... but later on, that same restaurant not only has a basement full of Kanobo Drones (and it's never explained how or WHY all of these drones end up in this particular basement), and not only THAT, but Sh'Okanabo also has a "a huge adjacent GARAGE with Hover Trucks, all filled with green slime dripping gene-seeds!" I don't get how all these things connect, especially that last part, which seems REALLY over the top. I mean -- this is a TEST? It seems more like an all-out assault! Another thing which seems weird to me is the way people get infected. It seems really haphazard and sloppy to just have the infection take place when you are merely touched by this slime, as -- if you think about it -- it would be almost impossible to NOT come in contact with it when there's so much of it flying around. It also takes the "gene seed" concept and makes it more of a "gene goo" idea, which I find less interesting. Which brings me to another thing I think should change -- let's have Don, not Raph, be the one who doesn't get infected. Not only have we already seen Don get turned into a monster (in Season 4), but it helps to have the smart Turtle be the one who figures out how to combat this infestation. Having now read through this outline, I see that there is a set up for a future episode where Sh'Okanabo tries to do something to our sun... and maybe that's part of the reason for the "sun cures the Drone infection" bit in this outline. I've not read anything so far for a future episode of this type, though it may be in my "In Box". More musings related to "Turtles as members of an alien race"
What a cop out. Whether or not you could legally do something to prevent such a bastardization, Peter, I expected more of you as a godfather and originator of the legacy. Your voice is an important one, and you seem to be saying to all those who've grown up with TMNT, that the Turtles origin and history shouldn't really matter." 63d11238-744c-11e1-b864-000bcdcb471e, I fail to see where -- in anything I have written about this issue -- I have said anything close to "…the Turtles origin and history shouldn't really matter." I think it's clear that most people -- and I count myself one of them -- don't have any idea of what the true intentions of the new TMNT film's makers are regarding the origin story of the TMNT in the film. All we have to go one, really, is an off-the-cuff comment by Michael Bay which SEEMS to be somewhat ridiculous. But as I wrote earlier, though my gut feeling is that this is NOT a good direction in which to head, it is POSSIBLE -- if not necessarily LIKELY -- that some incredibly talented creative team might take this goofy idea and turn it into something really good. I am not sanguine about that possibility... but who knows? Not me, and certainly not you. Let me digress for a moment, 63d11238-744c-11e1-b864-000bcdcb471e. Years ago -- in 1987, I believe it was -- Kevin Eastman and I agreed to sign a contract allowing our TMNT property (at that time only represented by the original TMNT comics, a role-playing game, and a few licensed goodies like miniature metal figures) to be adapted into a Saturday morning animated cartoon series. We knew going in that there would have to be changes made to "soften" the property a bit, to make it more "kid friendly" and palatable to advertisers and parents. … it was wildly successful. It was incredibly well-received by millions of viewers -- people who to this day remember it fondly, and many of whom who would have preferred that the live-action movies as well as the 4Kids animated series had served merely as continuations of that iteration of the TMNT. Who can say why, exactly, that the show was so successful? Was it the power of the central concept of the property? Was it the execution of the show? A combination of both? There are solid arguments to be made for each of those options. The point I am trying to make here, 63d11238-744c-11e1-b864-000bcdcb471e, is that had I (again, speaking solely for myself and not for Kevin) been making the key creative decisions for that first animated series, it would have been VERY different. Among other things, there would likely have been no moronic henchmen like Bebop and Rocksteady. The Shredder would have been seriously malevolent. April would not have been a reporter and constantly need to be rescued by the Turtles. The Turtles would not have been so ridiculously obsessed with pizza, and the Shredder would not have had as one of his businesses a restaurant called "Ninja Pizza". There might have been something that sort of looked like Krang, but it would have been an Utrom in a cool robotic exoskeleton. And the show would not have had a joke or gag every five seconds. … it's possible that it would have never reached the heights of popularity that the show as produced DID reach. Was the show that did make it onto the airwaves back then BETTER than the one which I would have preferred to have seen? I don't know. I strongly suspect that a lot of the devoted fans of that original show would answer that hypothetical question with a resounding "YES!!!" -- something I have seen evidence of many times in such fans' responses to the 4Kids TMNT series, which is, in almost every conceivable way, the show I WANTED to see back in 1987. I've always felt that even though I have a very solid notion of how to keep the original spirit of the comic book TMNT alive in various media -- something I tried really hard to do with the 4Kids series, especially -- I don't have, and never did have, and never claimed to have, any kind of monopoly on good ideas for what can and should be done with the Turtles. I know from past experience that there can be a wealth of really interesting, fun, creative "takes" on these characters. It's possible that there are many other very cool alternative treatments of the Turtles waiting in the wings. … but I am certainly open to being convinced otherwise. A few musings on "Turtles as aliens"